The herniated or protruded disc is usually a coincidental finding, not the true cause of a patient's pain. 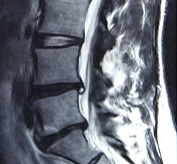 Numerous studies have demonstrated that herniated or protruded discs, especially at the vertebral levels L4-L5, and L5-S1, are so widespread in the asymptomatic population that it is simply poor diagnostics to jump to the conclusion that the disc itself is the cause of pain. There are several structures of the low back that can cause pain. For example, ligaments can become overstretched, causing muscles to respond by going into spasm. This is a self-protection mechanism. Other times, chemical imbalances persist, on account of long-standing dietary indiscretions. And of course, we cannot separate our emotions from our physiological state; they are intertwined. Grievances that are not dealt with, or turmoil in our personal lives, can also manifest as low back pain. When muscles that support the low back become tight or unbalanced, the bones of the spine become misaligned, and joint motion becomes restricted or aberrant. 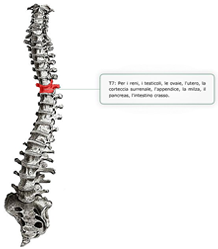 This causing unequal pressure upon discs, and abnormal tension upon ligaments. Our body chemistry also plays a major role in the health of our intervertebral discs. Together with bones and joints, discs make up the connective tissue in our body and they depend on an adequate supply of vitamins and minerals. Improper dietary habits that deprive or deplete the body of essential nutrients play a major role in disc herniation. Using the specialized procedures of standard Chiropractic with the muscle balancing techniques of A.K., Dr. Morrison creates symmetry in the body. The net effect is lasting pain relief, and long term prevention of disc herniation and degeneration. Exercise, dietary counsel, and clinical supplementation are part and parcel of our therapy and we remain committed to preventing recurrence of problems by maintaining good health.